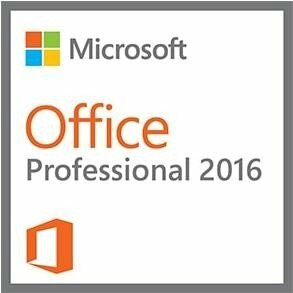 Microsoft Office 2016 Professional Plus, Deutsch Vollversion (Download/ESD) DOWNLOAD über offizielle Microsoft Seite!!!! Vollversion von Microsoft Office 2016 Professional Plus 32-Bit/64-Bit Deutsch inklusive aller Updates. Enthält Microsoft Excel, Microsoft Outlook, Microsoft PowerPoint, Microsoft Word, Microsoft Access, Microsoft Publisher, Microsoft OneNote und Microsoft InfoPath, Microsoft Sync, Microsoft Skype for Business.